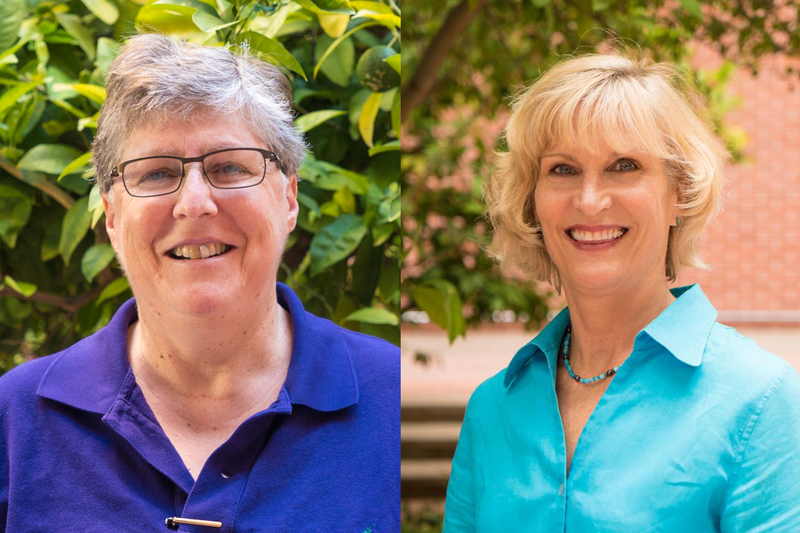 Two professors at the University of Arizona College of Nursing have been selected to the prestigious Fulbright Specialist Roster for three-year tenures. On Dec. 11, Jane Carrington, PhD, RN, FAAN, and Kimberly Shea, PhD, RN, CHPN, learned that were about to become global ambassadors for the College. The U.S. Department of State’s Bureau of Educational and Cultural Affairs (ECA) and World Learning informed them that the Peer Review Panel recommended them for placement on the Fulbright Specialist Roster. The Fulbright Specialist Program, administered by the Council for International Exchange of Scholars, awards short-term Fulbright grants to qualified and approved U.S. faculty members and professionals for two to six weeks at host institutions in more than 140 nations. The shorter grant lengths allow grantees listed in the Fulbright Specialist Roster the opportunity to undertake various types of activities, including curriculum, faculty development, institutional planning and related subjects. Dr. Carrington is a 2008 graduate of the UA College of Nursing PhD program. A nationally recognized expert in nursing informatics and health-care technology, Dr. Carrington is conducting a three-year study funded by the National Institutes of Health, National Institutes of Biomedical Imaging and Bioengineering, to increase patient safety by enhancing nurse-to-nurse communication. She and her team aim to improve nurses’ identification and reporting of clinical events to prevent adverse consequences and save lives. The primary goals of the Fulbright Specialist Program are to increase the number of exemplary U.S. scholars in Fulbright academic exchanges; to encourage new activities that expand the scope of traditional Fulbright teaching and research and to enhance relationships between United Sates and international academic institutions. The Fulbright Specialist Roster is a list of all approved candidates eligible to be matched with incoming project requests from overseas academic institutions for Fulbright Specialists.